Although “kletsen” has more than one meaning, it is mostly used as a form of talking. 1. “Uit je nek kletsen.”: to talk nonsense. (Literally: to talk out of your neck). 1. “Bijkletsen” : to chat with a person in an informal way in order to update eachother on what has been going on in eachother’s lives (“to catch up”). 2. “Kletskous” : chatterbox, a person who is chatting/gossiping all the time. A “kous” is a “stocking”. 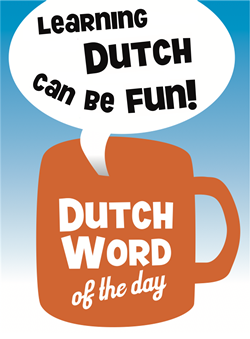 This entry was posted in Dutch word of the day, DWOTD 1.0, Vocabulary Basic and tagged babbelen, kletsen, praten by Dutch Gurus. Bookmark the permalink.